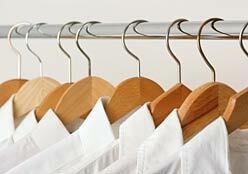 Here in Cleaners-No1 we offer ironing services in a regular weekly and fortnight basis or one-off service. All our ironing technicians have a good experiance of expertly ironing all type of clothes and are trained to satisfy our customers expectations. For ironing, regular domestic cleaning, end of tenancy cleaning and spring cleaning we will require minimum of 2 hours for visit.